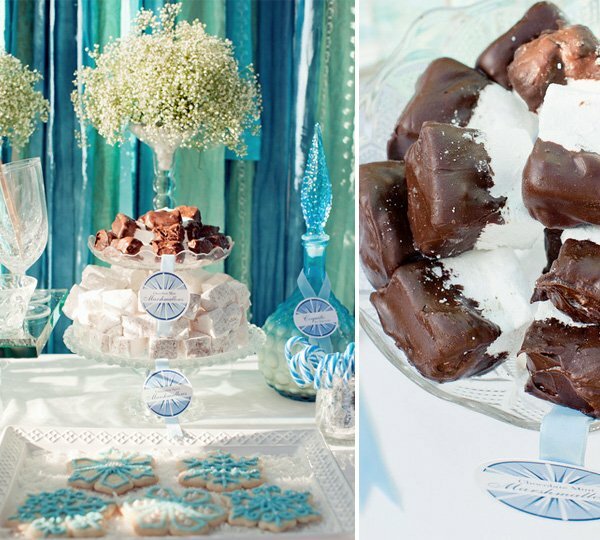 Between the stunning fabric backdrop, wonderful use of crystal & glass to create a theme-appropriate “winter ice” vibe, and tempting treats like homemade marshmallows and adorable pumpkin pie pops (too cute! 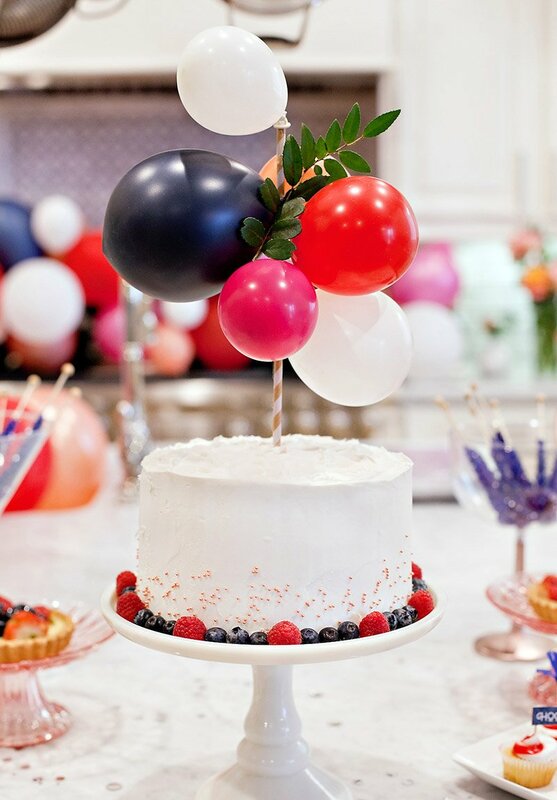 ), there’s such great inspiration to be found here for all sorts of winter celebrations – from baby & bridal showers to holiday soirées, winter weddings, and beyond… which is great timing because winter has only just begun – as of December 21st! 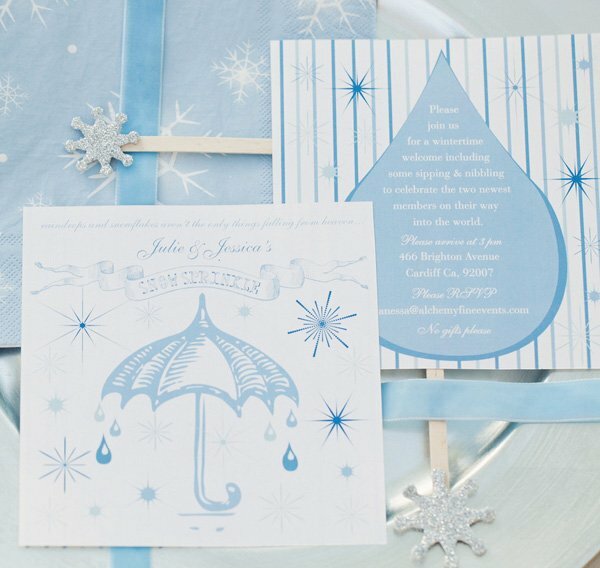 “For this wintertime welcome of two little angels we created a flurry of glittering snowflakes and raindrops for this ‘Snow Sprinkle’. 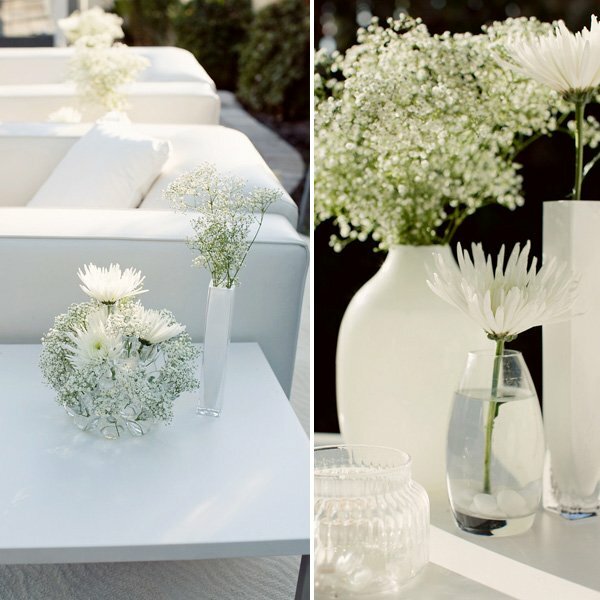 Guest were welcomed to a “winter white” outdoor lounge area sprinkled with white lights and filled with modern lounge chairs draped with soft white netting & plush fur pillows. 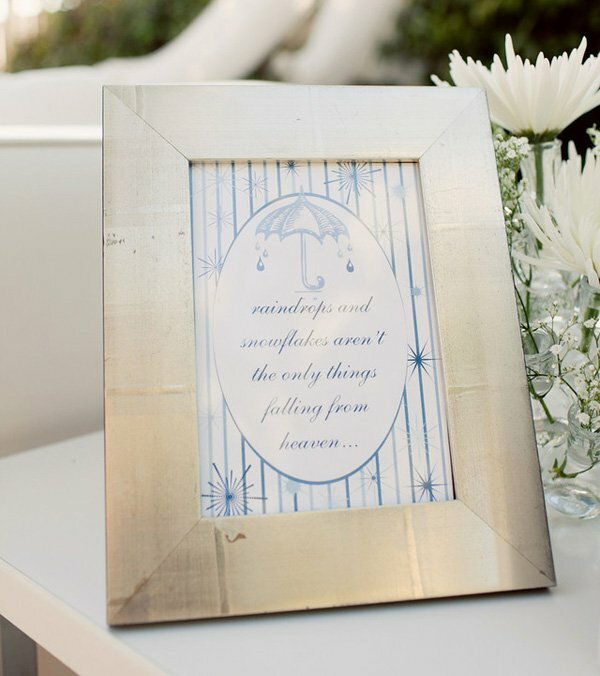 Soft white baby’s breath and snowflake-like spider mums danced throughout the lounge in a mixture of modern and vintage glassware, while a framed sign reminded guests that “Snowflakes & Raindrops aren’t the only things falling from heaven…”! 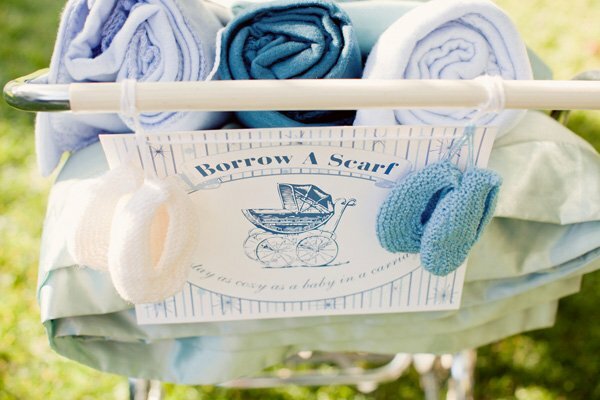 As guests entered the outdoor lounge, they were greeted by a vintage English pram offering them cozy pashminas and scarves with a sign that read “Borrow a Scarf to stay as cozy as a Baby in a Carriage”. 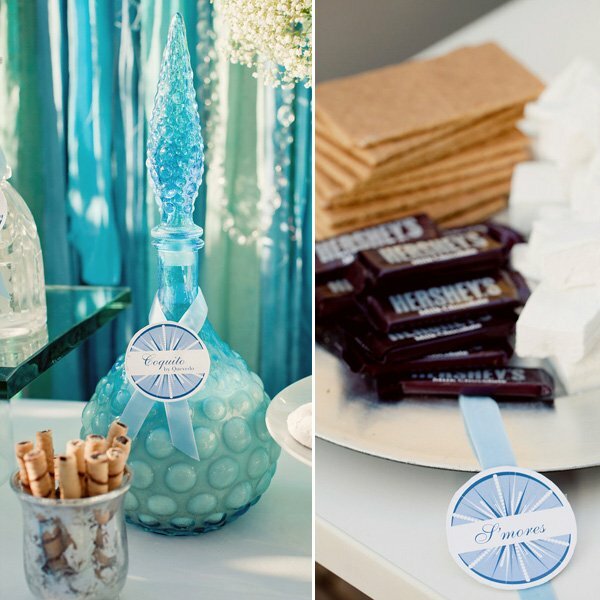 To keep guests cozy on the inside, we featured a Cocoa Bar complete with gourmet hot cocoa, homemade marshmallows and crystal decanters full of various liquors to spice up their drink. 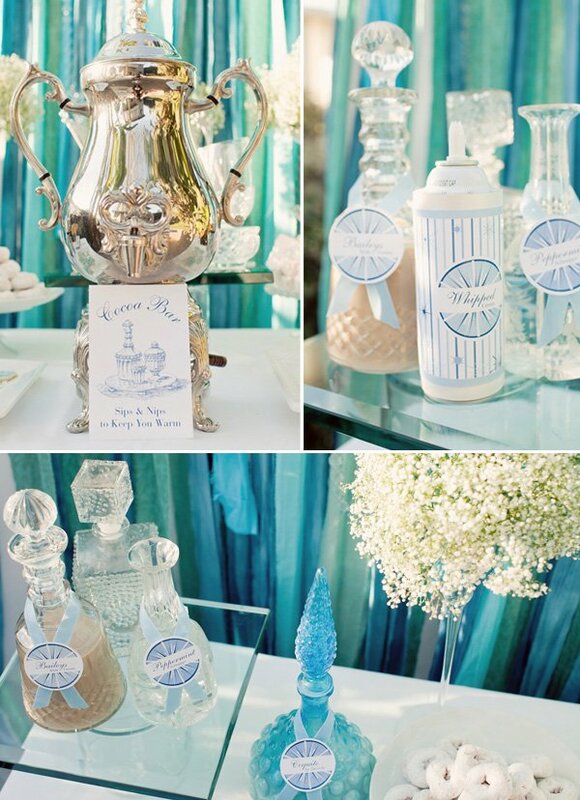 A sign reading ‘Sips & Nips to Keep You Warm’ was displayed on the cocoa bar next to the elegant silver urn. 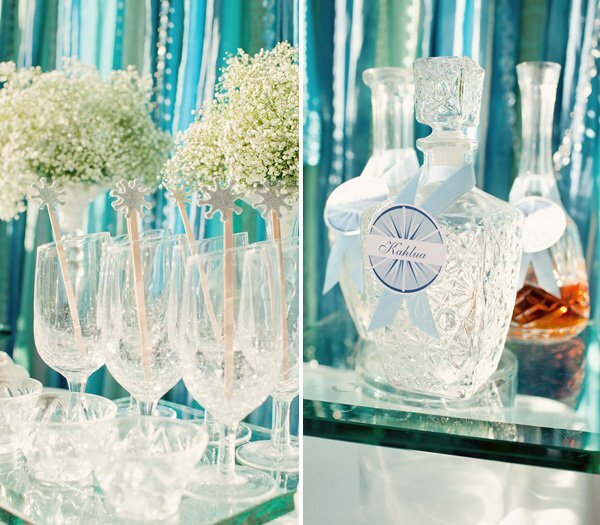 Snowflake-topped stir sticks were featured in crackled glasses displayed on top of raised green glass risers for an icy looking presentation. 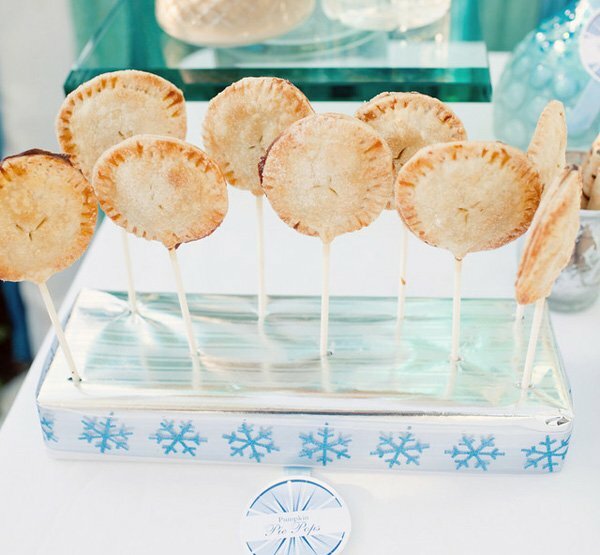 Chocolate moon pies, pumpkin pie pops (recipe here), sugared donuts and delicate snowflake sugar cookies were just some of delectable treats offered as dipping-worthy sidekicks for the cocoa. We also made two different types of homemade marshmallows – pumpkin spice and one dipped in mint milk chocolate. 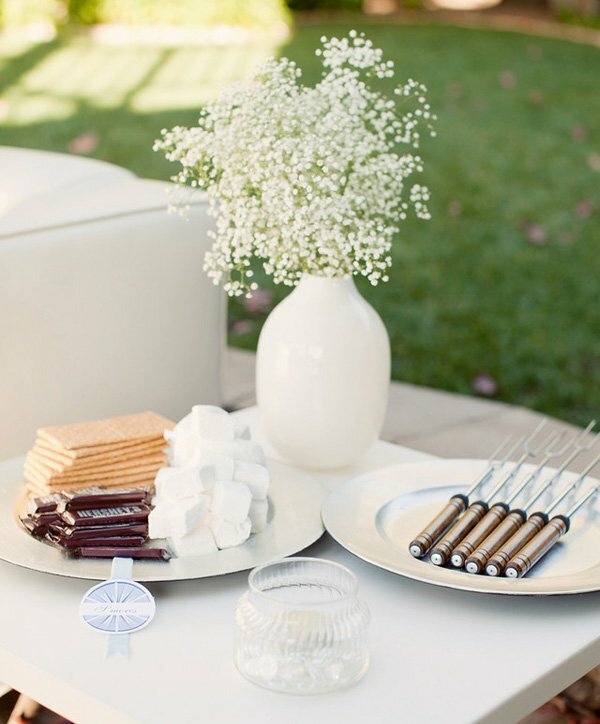 Our ‘S’mores Station’ featured an outdoor firepit, roasting sticks sticks, homemade marshmallows, and the classic accoutrements. 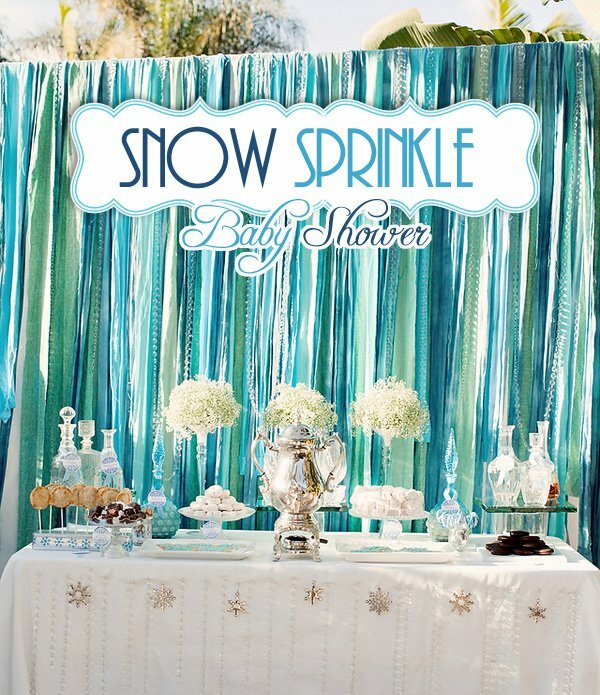 This is a gorgeous baby shower design, love it!! Absolutely STUNNING! Can’t take my eyes off of this! Thank you so much for the beautiful layout and feature Jenn! Great job Vanessa!! I had such a fun time attending this event and it was absolutely PERFECT!!! Makes me feel like a snow princess. Exquisite job! Love it. Love the colors too. Everything was so beautiful and so yummy! Just perfect! Wow!!! 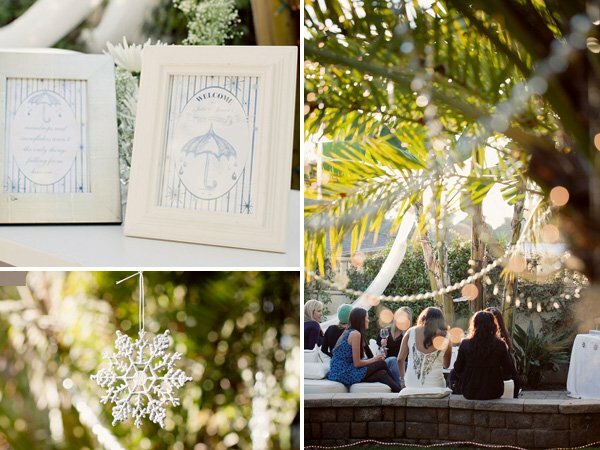 Vanessa you are a mastermind at design….what a gorgeous and peaceful setting for a baby shower!! It really turned out great and Lounge Appeal was happy to have been a part of it!! Wow this goes above and beyond any showers I’ve ever seen. So gorgeous and elegant. Just fabulous. 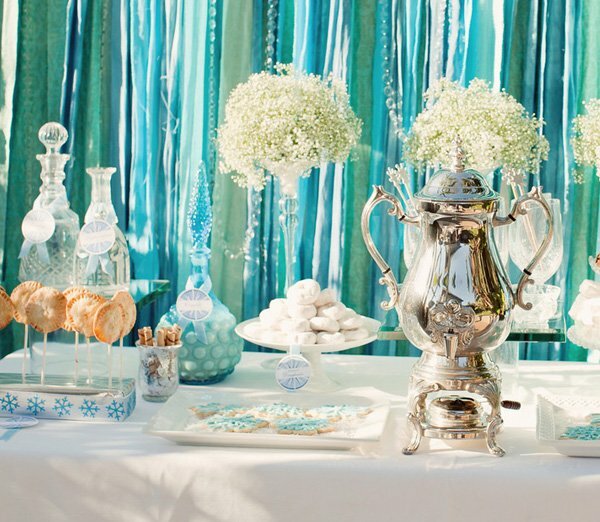 I love the idea of a hot cocoa bar and the scarves… too cute. This is my favorite one so far! Love your blog. 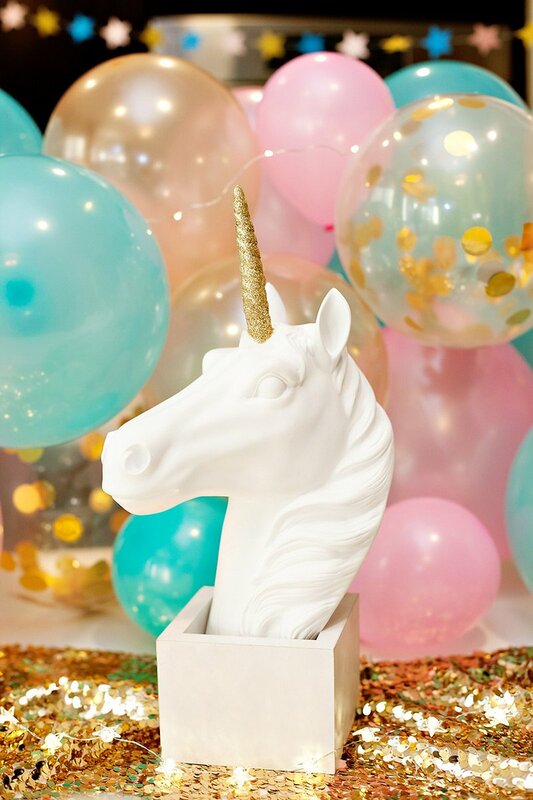 We absolutely loves this blog! Lots of great ideas and pictures. Always inspiring. Everything is so gorgeous! Love everything about this shower from that beautiful back drop to the s’mores station. Absolutely breathtaking! This was so beautiful!!! I know Jessi enjoyed it too!!! WOW ….must try out those pumpkin pie pops! Fantastic job! absolutely beautiful! I really love this blog, and get inspiration from everyday. Lovely party! 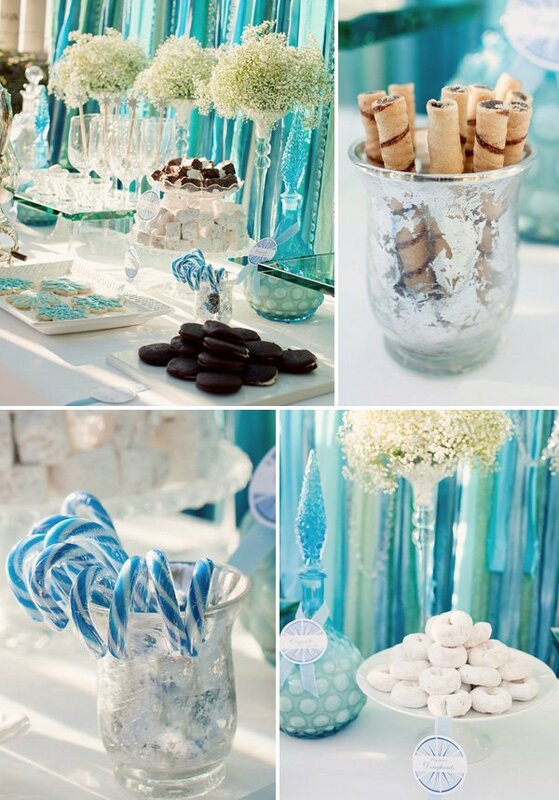 I love the blue and silver colors…very elegant! This is so lovely! 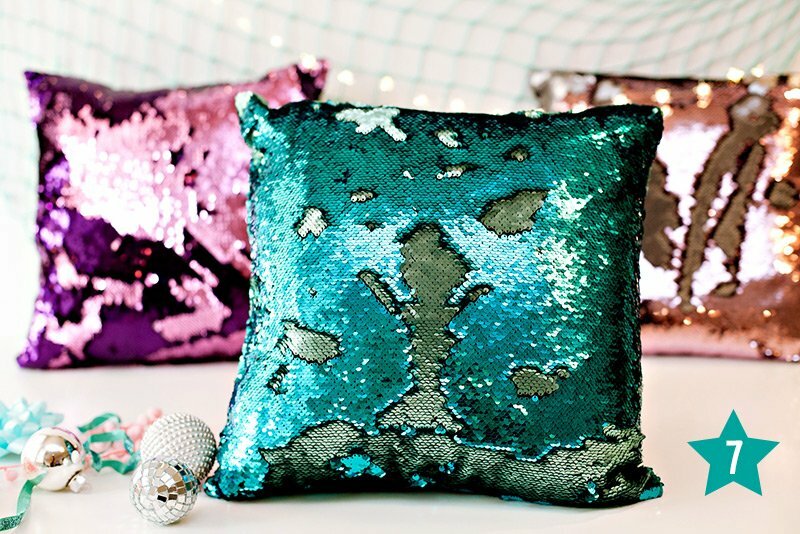 How did you create the backdrop? 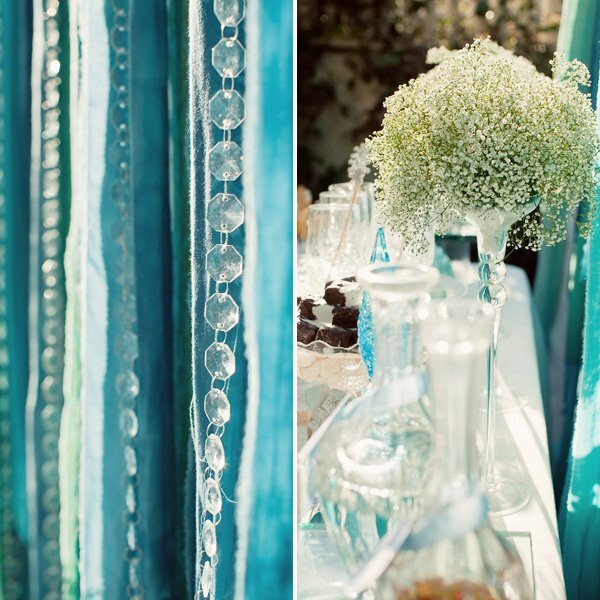 I understand there are fabric strips and crystals, but is that a piping structure you rented? I would love to figure out how I can create that same look for a shower I am planning. If you have dimensions, that would also be helpful. Thanks! mplnews (at) aol (dot) com. With all the work you Ladies put into this, I knew it was going to be special, BUT WOW !!! 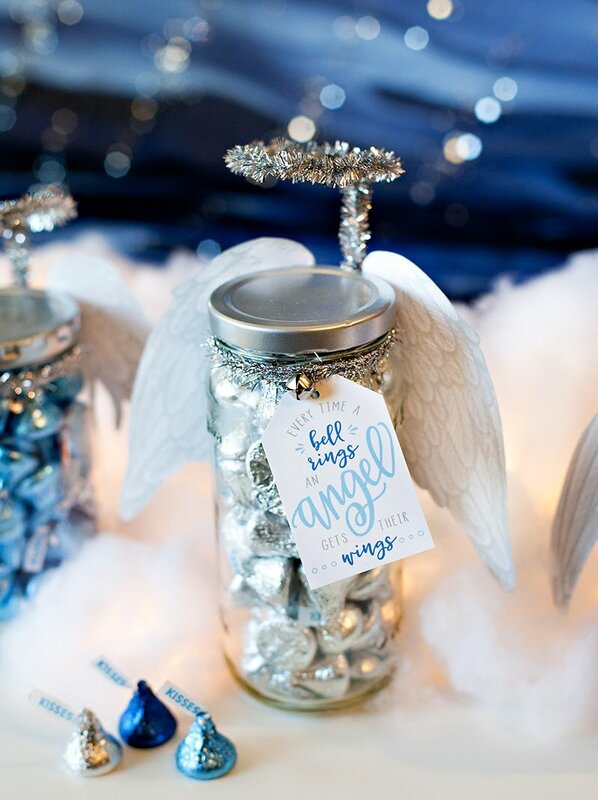 My SIL thanks you in advance for giving her the most AWESOME baby shower ever!! Love this! 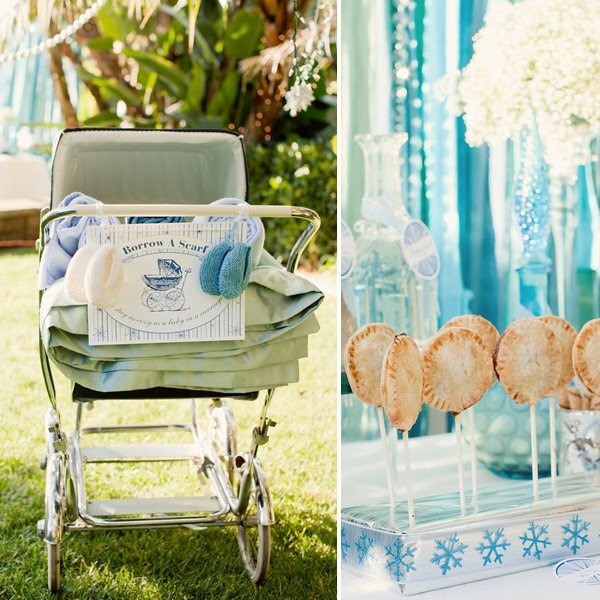 Love the winter theme, and that baby carriage is so precious! Can’t wait to share! thanks.